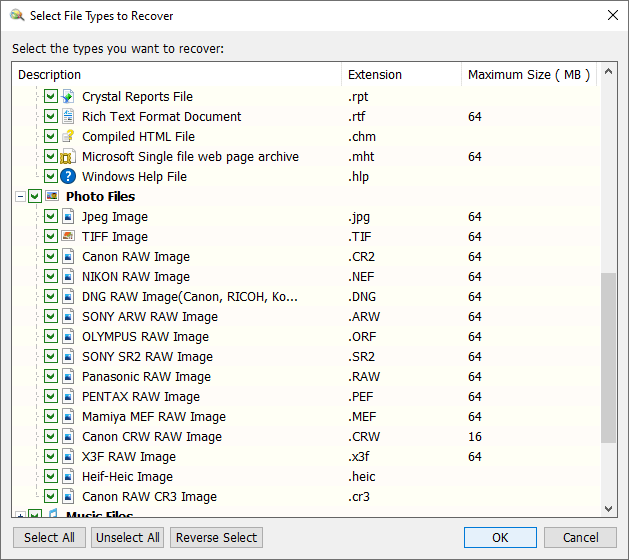 Data recovery approach mentioned here is ”Recover Files By Type“ which is used to rescue data when the file system is badly damaged and file directory can not be rebuilt. Eassos Recovery provides such a powerful function. For example, a JPG file, when saved, always begins with the hexadecimal format header “FFD8FFE0” which is followed by its further information such as width, height and camera information. When Eassos Recovery finds out “FFD8FFE0”, it’ll recover the following data as a JPG file. 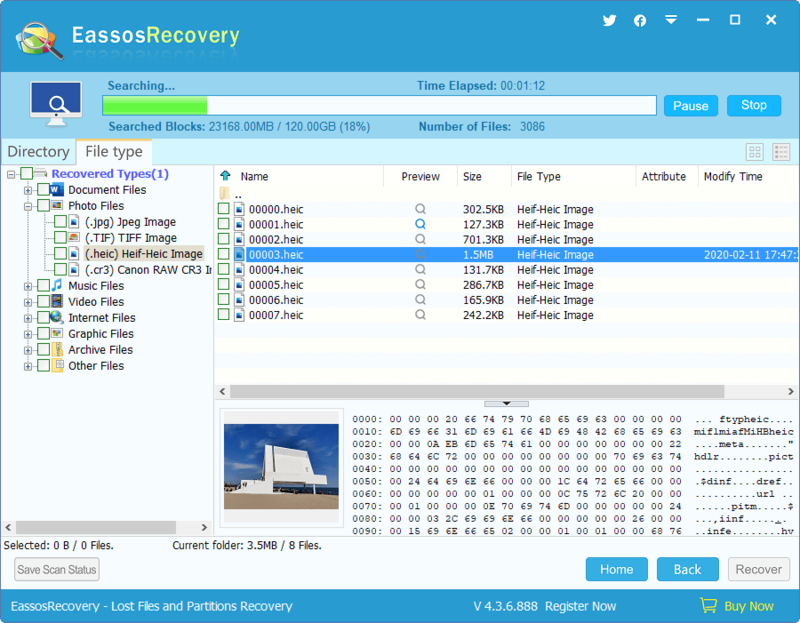 After confirming the file header, Eassos Recovery starts to analyze file structure and identify the size through certain algorithm; it goes on scanning until the file is recovered. Select all the types you want to recover and click “OK”. In addition, You can click the corresponding column header to sort the types for fast locating file types. 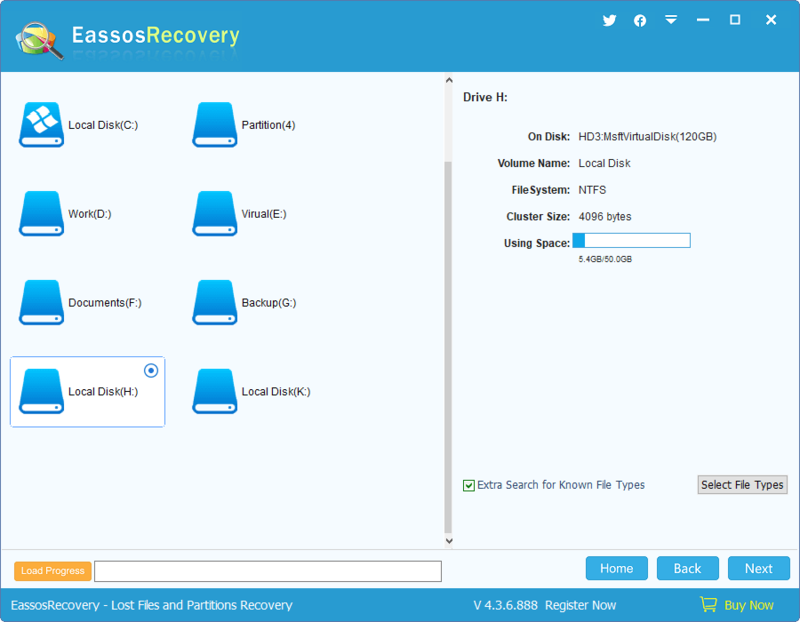 Finishing scanning, Eassos recovery will display a partition named “Recovered By Types” and put all files recovered by type in this partition. Recovered files are classified by type and if files of a certain type exceed 1000, they will be put in another folder automatically. Files recovered by this method loss their original names, for file names are saved in file system structure which is not analyzed when you recover files by type; all the recovered files are named by sequence numbers. This entry was posted in Data Recovery and tagged data recovery, data recovery software, Eassos Recovery, recover files by type by EASSOS. Bookmark the permalink.